The restored town of Stearns, Kentucky, shown as it appears at night, across from Outdoor Venture Corporation's main facility, looks much like it did in the early 1900's. However, many changes have taken place in the historic Stearns, Kentucky town during its rich 100 year history. Founded in 1902, by Justus S. Stearns, a Ludington, Michigan businessman, who bought 30,000 acres of timberland in southern Kentucky. Coal was discovered soon afterward and the Stearns Coal and Lumber Company was started. 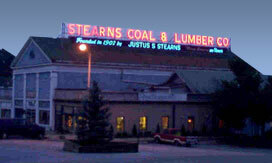 The Stearns Coal and Lumber Company, later called the Stearns Company, built the town of Stearns to serve as the hub of a logging and mining empire that would, in its heyday in the 1920's, control over 200 square miles of land, build the Kentucky and Tennessee Railway as well as the world's first all - electric sawmill, and employ over 2,200 people living and working in at least 18 coal camps. Most all of the buildings in Stearns were painted the company's colors of white with green trim, and included residences, a freight depot, office building, pool hall, theater, the renowned Stearns hotel, and company store where all the residents could purchase nearly anything they needed with company issued money called scrip. The company also provided water, electricity, steam heat, tennis courts, a golf course, and a baseball field. Beginning in the 1950's the coal mines one by one played out and closed and the coal camps were abandoned. By 1976, the Stearns Coal & Lumber Co. had sold most of its holdings to the Blue Diamond Coal Co. and in 1987 the last railcar of coal left the Blue Diamond mines. A grand era had come to an end but another had begun - manufacturing. The original 1902 Stearns Coal and Lumber Company Office Building was leased by Dr. Frank Thomas, President of the Stearns Company, now a current Outdoor Venture Director, rent free for two years to JC Egnew and John Moore in 1972. The two founded a company and that location became the first home of Outdoor Venture Corporation, a tent producer and one of the first manufacturing plants in McCreary County. Later, Outdoor Venture purchased the old office building and depot and donated it to the McCreary Heritage Foundation. 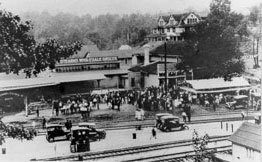 Today, this building has been restored to its original condition and is the home of the Big South Fork Scenic Railway. Since Outdoor Venture's 1972 beginning, several other manufacturing businesses, including one of the first U.S. air bag manufacturing facilities, have evolved from this initial business venture resulting in the creation of more than 1,000 jobs in this area at one time. Today, Outdoor Venture's newest facility, built in 2000 and located across the street from the historic town of Stearns, houses the company's main offices, manufacturing, warehousing and shipping facilities. The company also owns three additional manufacturing facilities, in excellent condition, and is postured for growth and expansion. These facilities, currently being used by Outdoor Venture for additional manufacturing and warehousing, are located nearby. The Big South Fork Scenic Railway operates over the historic trackage of the Kentucky and Tennessee Railway and is situated in the heart of the beautiful Appalachian Mountains. The Kentucky & Tennessee Railway at one time stretched for over 20 miles into the Big South Fork River valley and operated 12 steam locomotives. The land that was once occupied by loggers and miners is now covered by lush vegetation and is abundant with wildlife. The train hugs cliff lines and follows roaring mountain streams, passes through a tunnel and over a bridge as it descends over 600 feet in five miles to the floor of the Big South Fork River valley. The railroad's stopover point, the old Blue Heron Mining Camp, is part of the Big South Fork Scenic Recreation Area Park and contains a gift shop and snack bar with picnic shelter, walking trails and much more. 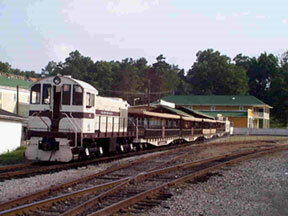 Link to The Big Southfork Railway information - http://www.bsfsry.com. The Stearns Museum in downtown Stearns was also a former Stearns Coal and Lumber Company Office Building and the Stearns State Bank. 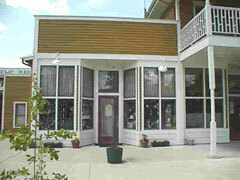 The museum reflects the town's history, how the coal company towns operated and the lifestyle of their people. 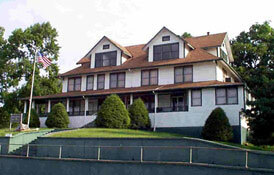 The museum is owned and maintained by the McCreary Heritage Foundation. The renowned Stearns hotel was built in 1909 after the original hotel burned. During the years of this hotel's existence, it was home to visiting Stearns Coal and Lumber Company officials. 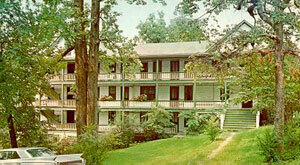 The hotel was well known for its old-fashioned southern cooking and its hospitality. The hotel was regretfully torn down in 1975.